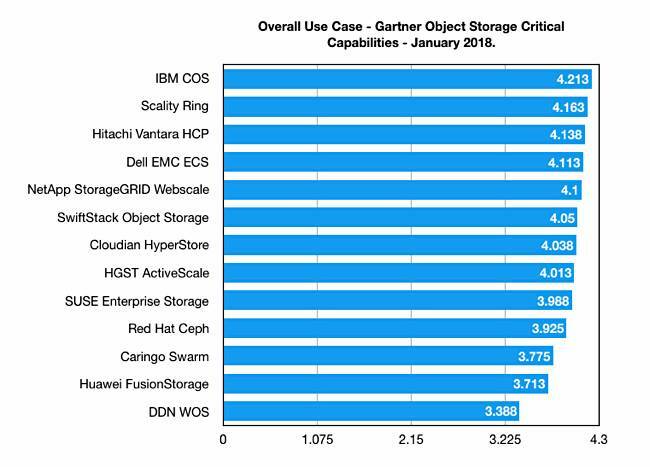 IBM's on-premises Cloud Object Storage has come out on top in Gartner's latest industry rankings. 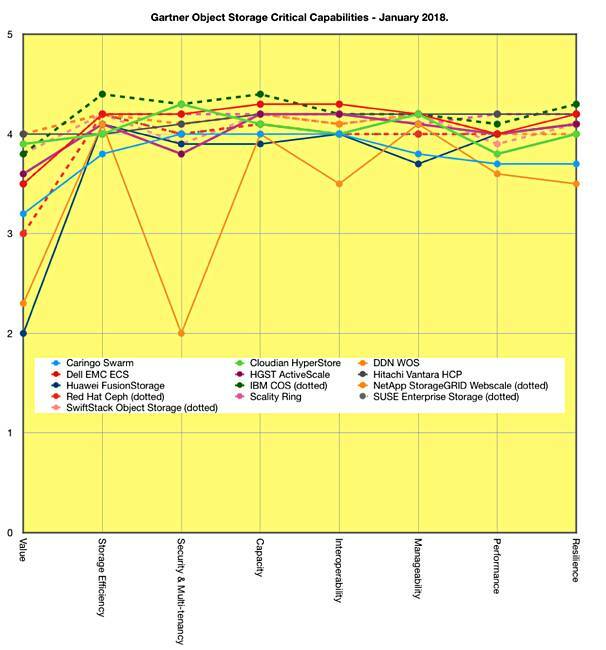 Critical Capabilities for Object Storage rates 13 on-premises object storage products on eight attributes – value, storage efficiency, security and multi-tenancy, capacity, interoperability, manageability, performance, and resilience. It then uses these values to rank the suppliers' products across five use cases – analytics, archiving, backup, content distribution, and cloud storage. At the other end of the scale is DDN's WOS. HPE isn't mentioned but has a global OEM deal with Scality and an EMEA regional resale arrangement with Cloudian.